I tasted the Unicorn cake - which is a one of its kind cake, a must-try. Then I tried their modaks, which was an overwhelming experience altogether. The Malai Mewa Modak – delicious malai loaded with dry fruits and enrobed in milk chocolate sprinkled with pistachios and edible gold. 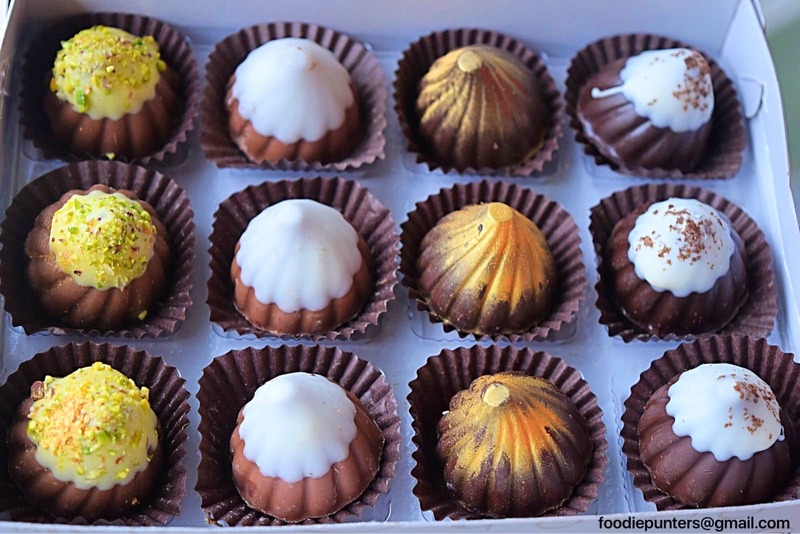 The Coco Kiss Modak – soft centered with coconut and raisins. The Cookies & Cream Modak – richness of berries filled in luscious white chocolate. The Truffle Crumble Modak – dark chocolate centre filled with silky dark truffle mixed with crunchies and laced with edible gold and this makes it truly exotic. The cupcakes can be way better - as they were okayish, but definitely lacked the wow factor! The quality of the desserts served here are just top-notch and the outlet is vegetarian-friendly too. The list of the desserts one needs to eat here is never ending. And with time they keep adding more new variants. So keep going and trying new stuff. I'm sure you'll love it!